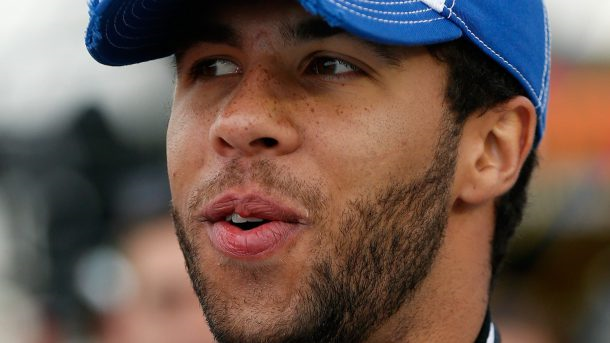 Darrell Wallace Jr, with a lap speed of 131.569 MPH, was the quickest Thursday afternoon during the first NASCAR Camping World Truck Series (NCWTS) practice session for Friday night’s Lucas Oil 150 at Phoenix International Raceway (PIR). Second quickest with a lap speed of 131.277 MPH was Ryan Blaney, and he was followed by the current series points leader, Matt Crafton (131.243 MPH) who was third, German Quiroga Jr. (131.205) fourth and Jeb Burton (131.105) was fifth quickest. Rounding out the top-ten quickest drivers in the session were: Erik Jones (130.995 MPH) who was sixth, series Rookie of the Year (ROTY) candidate, Tyler Reddick (130.567) seventh, Johnny Sauter (130.548) eighth, Cole Custer (130.548) ninth and Brennan Newberry (130.378) posting tenth. The teams will return later today for their “Happy Hour” (final) practice session from 5:30 p.m. – 7:00 p.m. (ET), before returning Friday at 4:45 p.m. (ET – On FOX Sports 1) for qualifying to determine the starting lineup for that evening’s race. 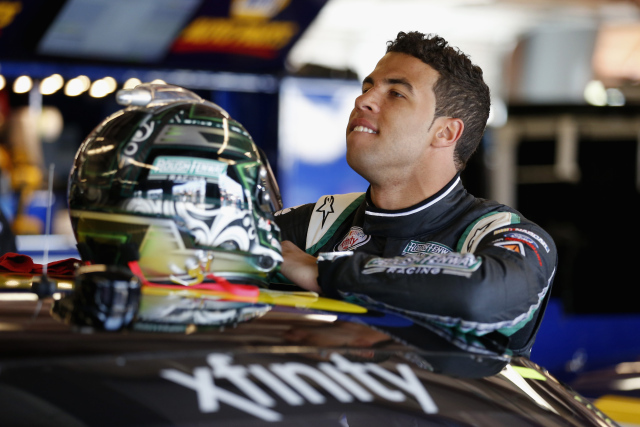 The current series qualifying track record at PIR is 134.439 MPH, set by Nelson Piquet Jr. on Nov. 9, 2012. The 20th annual Lucas Oil 150 is scheduled to get underway around 8:50 p.m. (ET), and FOX Sports 1 will provide television coverage beginning at 8:00 p.m. (ET) with their pre-race program. Johnny Sauter has made the upper echelon of the NASCAR Camping World Truck Series standings his home this season. He currently leads the driver points standings over ThorSport teammate Matt Crafton (-7) and remains the only competitor to appear in the top five all season. Don’t plan on Sauter falling from his perch atop the standings anytime soon, if at all. He has a combined average finish of 9.2 at the remaining eight tracks (he has yet to make a start at New Hampshire Motor Speedway). If Sauter can hold on to the No. 1 spot, he will clinch his first NCWTS title. His previous high championship finishes were a runner-up showing in 2011 and a third-place performance in 2010. Last season, he finished fourth after posting a career-high three wins. 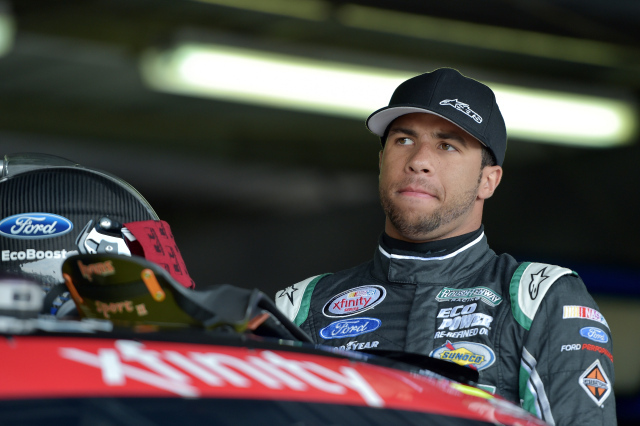 Trailing Sauter and Crafton in the standings are Ryan Blaney (-13), Darrell Wallace Jr. (-38) and German Quiroga (-48). Sauter has just one win this season, but has failed to finish in the top 10 in only two of 14 races. Notes: While teams in all three NASCAR series in action at Chicagoland this week will run the same left-side tire code, Nationwide and Camping World Truck teams will run their own right-side tire code . . . this is the same combination of left- and right-side tires that Nationwide and Camping World Truck teams have run at Chicagoland since 2011 . . . this is also the same tire set-up that these teams have run at Homestead over that same span . . . NASCAR teams have also run this left-side code (D-4392) with a different right-side code at both Texas (all three national series) and Darlington (Cup and Nationwide) earlier this season . . . as on all NASCAR ovals greater than one mile in length, teams are required to run inner liners in all four tire positions at Chicagoland . . . air pressure in those inner liners should be 12-25 psi greater than that of the outer tire. 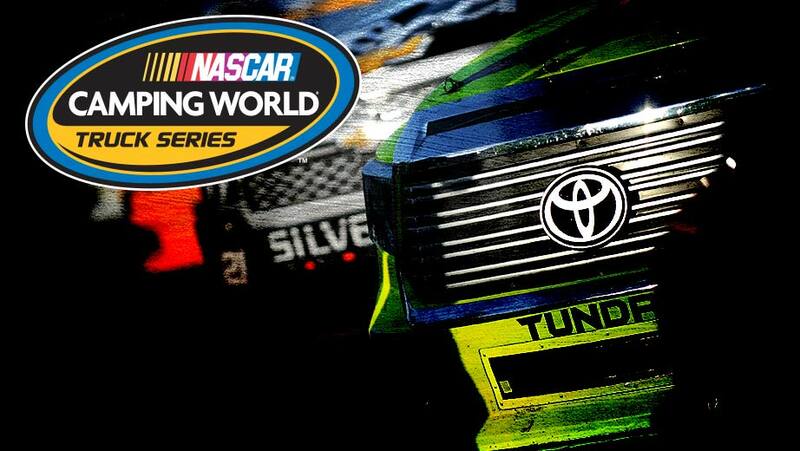 Darrell Wallace, Jr., gave Kyle Busch Motorsports and Toyota another NASCAR Camping World Truck Series (NCWTS) victory, with a decisive win in Wednesday night’s dirt track race in the Mudsummer Classic at Eldora Speedway. Wallace, who led the most laps – 97 out of 150, received his second series win of the 2014 season, his third series career win and his first series win at Eldora Speedway. Series veteran driver, Ron Hornaday, Jr., came in second – by 5.489 seconds – and was followed by the new series points leader, Ryan Blaney (leaves Eldora with a 4-point lead over Matt Crafton) finishing third, Ken Schrader fourth and Ty Dillon finished fifth. Rounding out the top-ten finishing positions were John Hunter Nemechek claiming sixth, Jeb Burton seventh, Johnny Sauter eighth, Matt Crafton ninth and Austin Dillon bringing home tenth-place. Time of Race: 1 Hrs, 29 Mins, 39 Secs. Next Up: The series heads to Long Pond, Pennsylvania for the Pocono Mountains 150 at Pocono Raceway on Saturday, Aug. 2nd. The race is scheduled with an approximate starting time of 1:20 p.m. (ET) and television coverage provided by FOX Sports 1 beginning at 12:30 p.m. (ET).